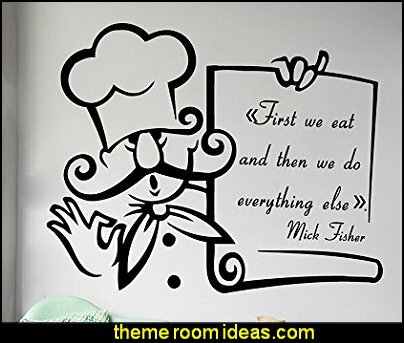 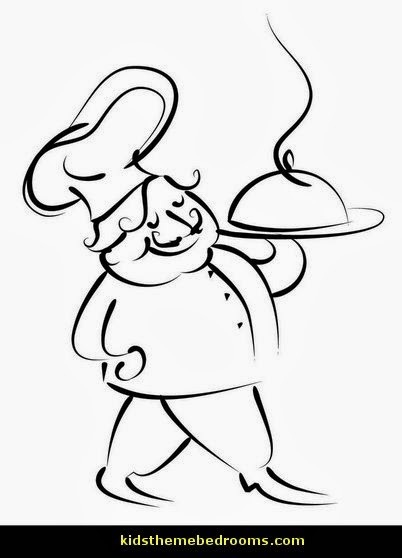 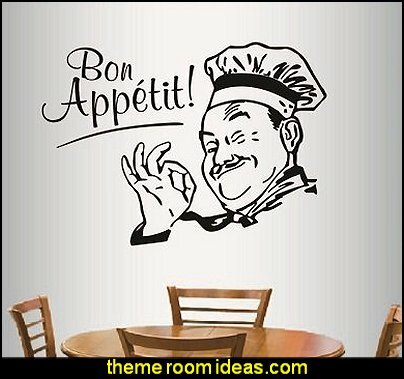 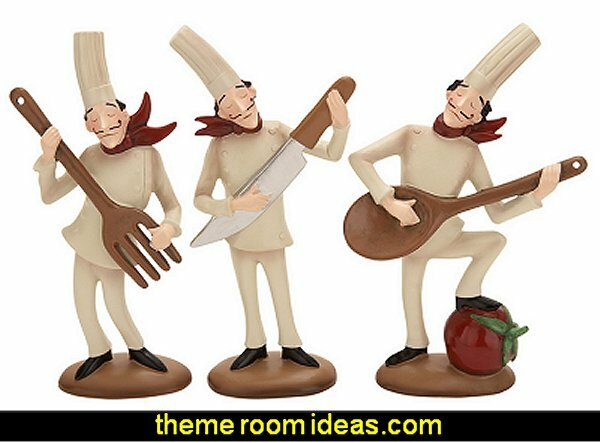 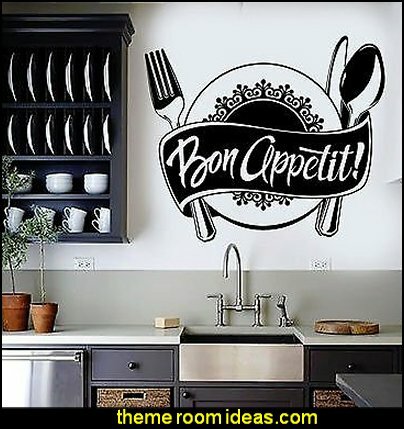 Fun fat chef inspired decorations for a bistro style French themed kitchen or Italian coffee house cafe decorating project. 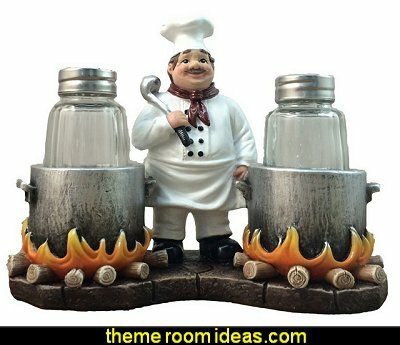 This incredibly cute fat chef accent lamp is made of hand painted cold cast resin, with a white crackle glass chef`s coat to give off soft light. 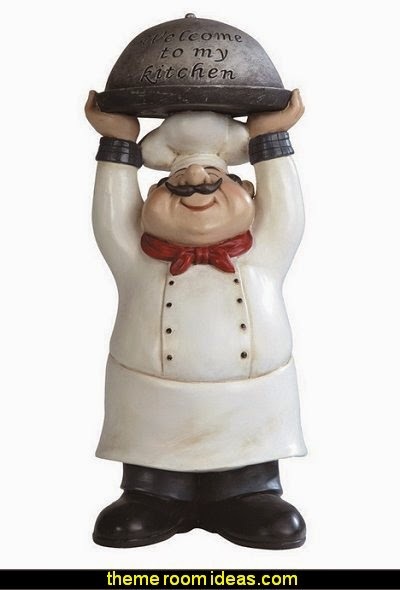 His feet have a metallic bronze finish that give it the look of metal. 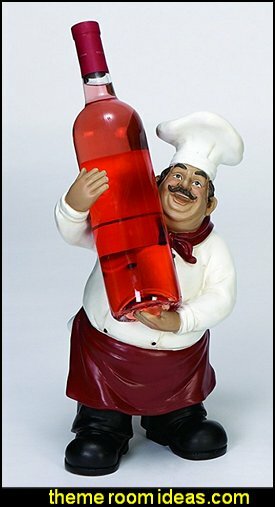 Add mirth and merriment to your next soiree with a delightful wine holder. 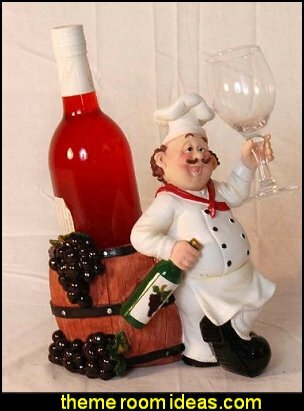 Fun home décor piece and a great gift idea for that special wine enthusiast. 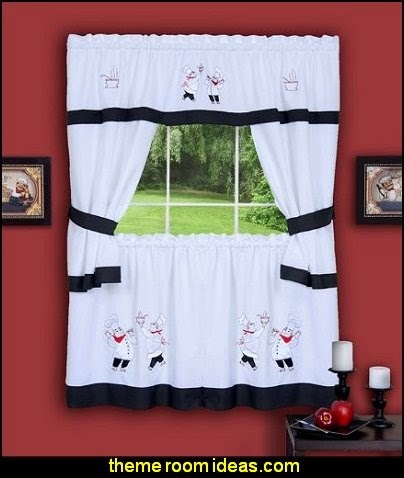 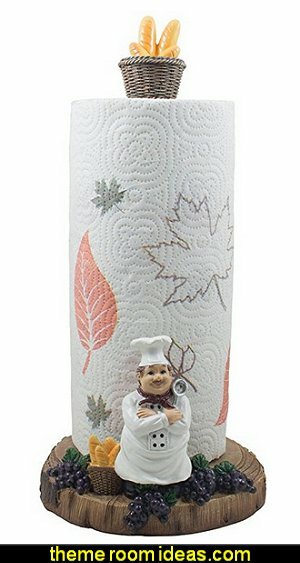 Savory Chefs Kitchen Curtain features taupe and beige stripes with a continuous imprint along the border of a kitchen scene depicting Chefs about to unveil a delicious meal. 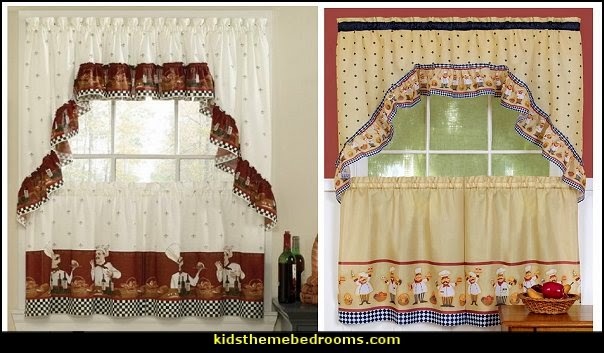 Set it up on your kitchen or dining room windows for a fabulously fitting look! 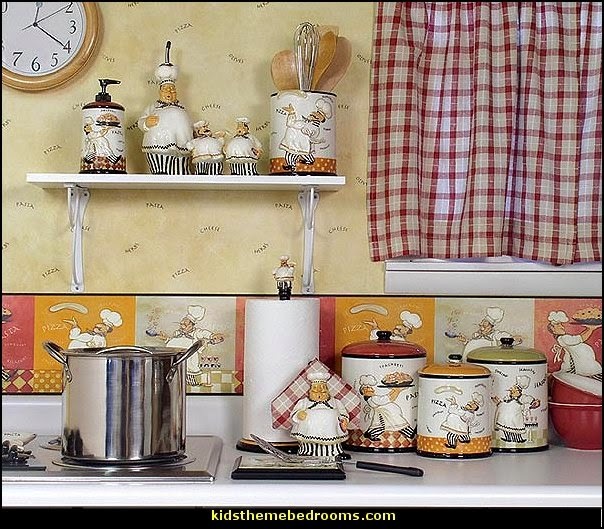 Add a little whimsy to your kitchen with these chef inspired decorative tiles - perfect for your kitchen back splash. 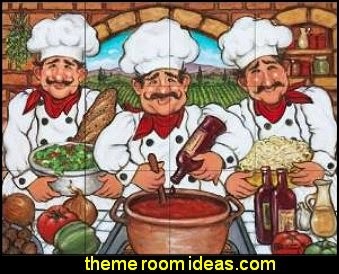 Beautiful artwork by Janet Kruskamp has been digitally reproduced for tiles - depicting three chefs cooking up a batch of delicious tomato sauce with wine. 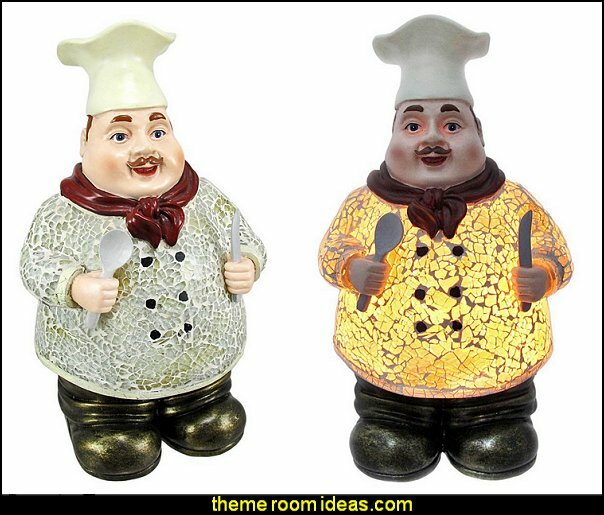 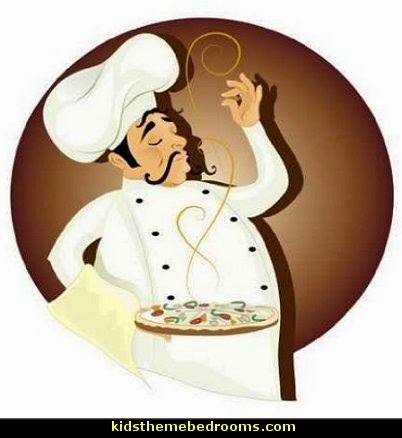 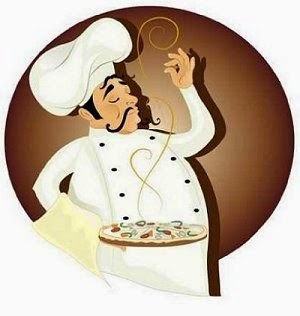 One chef holding a bowl of salad and loaf of bread and the other chef holding a bowl of pasta ready for the sauce. 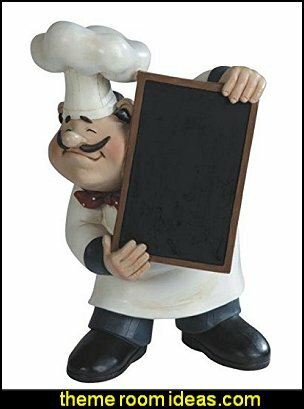 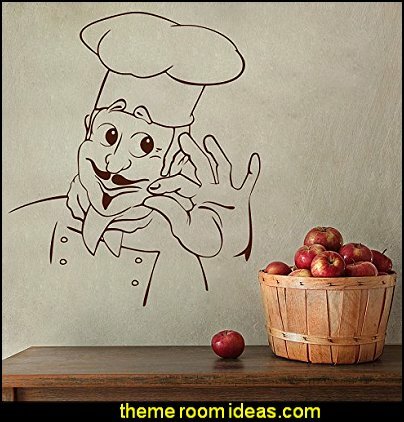 Bring your chef themed kitchen to life with a fun chef themed tile mural. 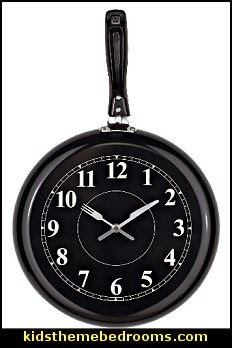 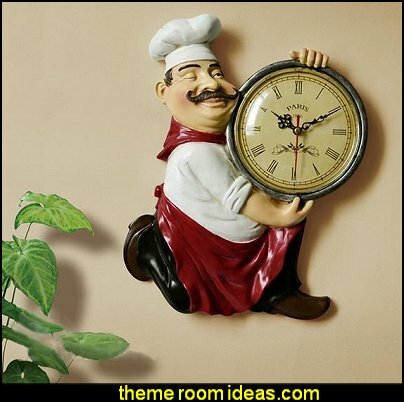 Sizzle up some tantalizing recipes with this affectionately quirky pan clock. 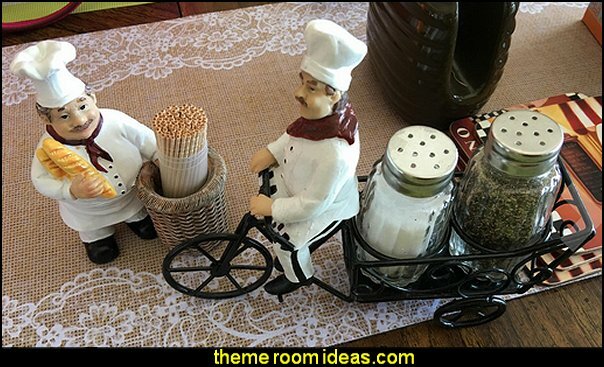 Overturn the everyday as you blend in portions of contradiction and mystery. 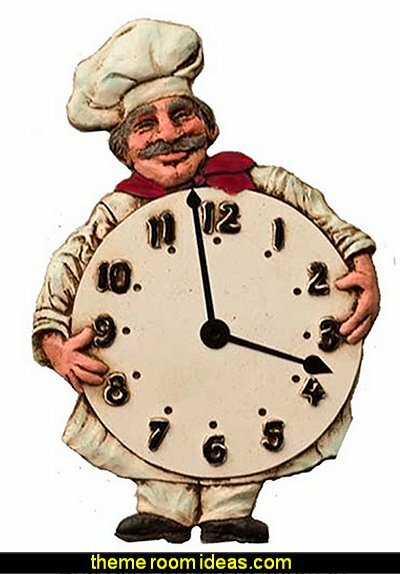 Augment your understanding of the potentials of time while simultaneously peppering it with greater fuel and vitality. 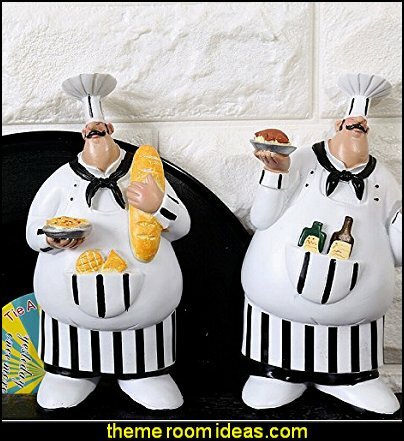 These plump, jovial chefs will bring a smile not only to your face, but to the faces of your guests, too! 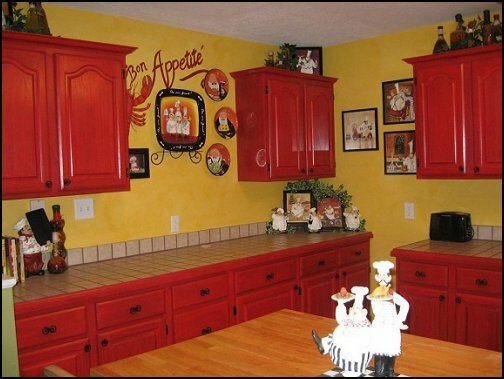 All appliques can be removed from the wall and repositioned at any time. 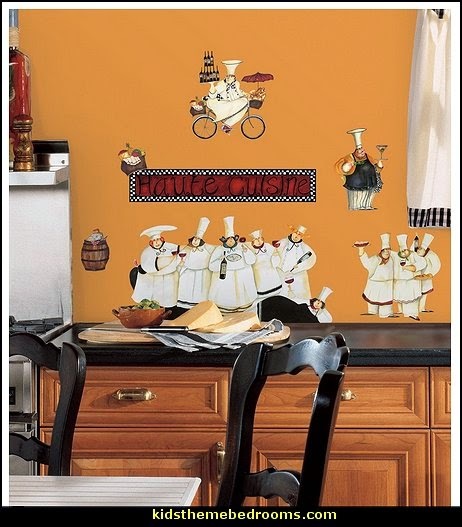 They're great, of course, for decorating the kitchen. 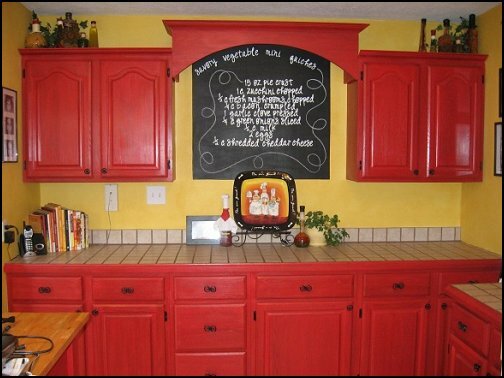 But don't stop with your walls--try placing them on cabinet doors, appliances, and furniture, too! 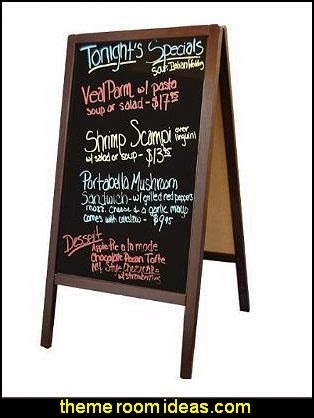 Dinner is served!